Location: Saint-Saturnin, in the Puy-de-Dôme departement of France (Auvergne Region). Built: 13th to 15th century. 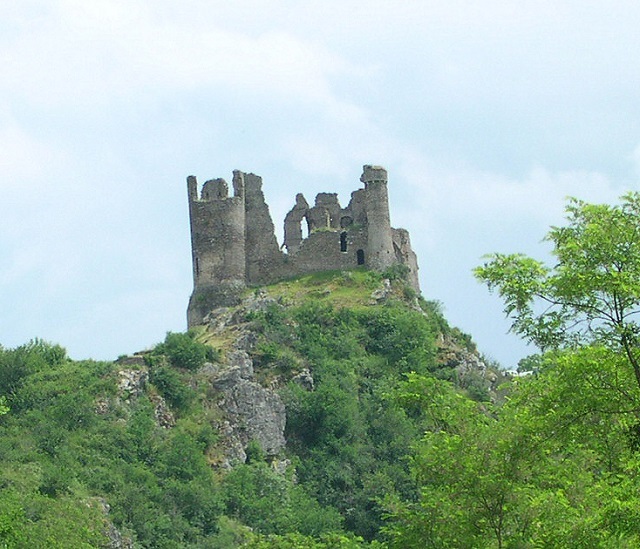 Notes: Château de Saint-Saturnin is a French castle in Saint-Saturnin in the Puy-de-Dome. It is the subject of protection as historical monuments. The castle is an important medieval fortress with a triple enclosure, towers and crenellated battlements. The main building is flanked by two towers dating from the fourteenth and fifteenth centuries. Its keep and walkway can discover a wide panorama of the surroundings. The castle is decorated with a French garden.